The shirt fits true to size. The collar and cuffs are pleated. The color is a little darker than the photos, but I still like it. The cuff is wide spread which I was looking for. I would buy again. 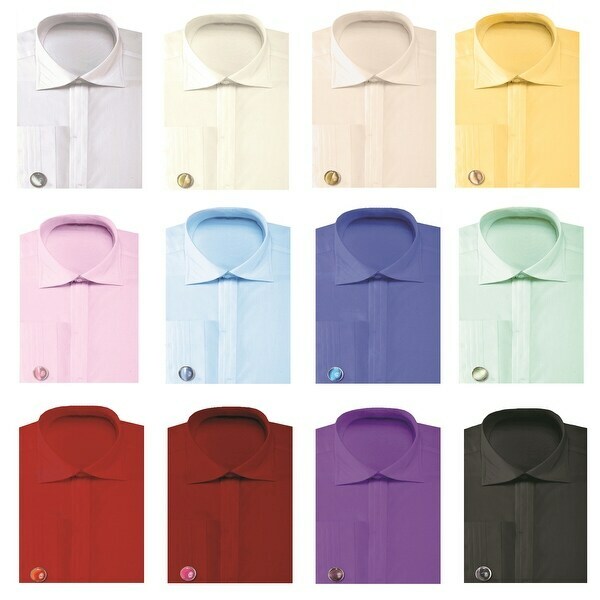 •2 item set: Dress Shirt and Cufflinks! •Whether dressing for work at the office, or attending a special event, these dress shirt and cufflinks combinations will make you look and feel confident and in style. •Great for special occasions, weddings, and parties. •Assorted colors and sizes available, including big and tall.